One of the great things about veggies, herbs and fruits grown in Laos is that they are often free of heavy chemicals and pesticides that are so often used in modern intensive agriculture and farming in other parts of the world. It is what those in the West would describe as organic. 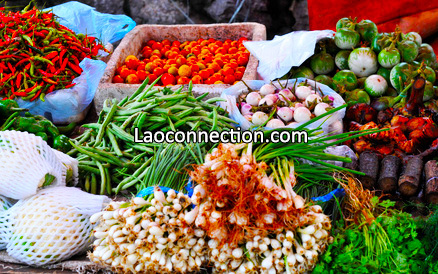 Additionally, while Laos does import certain food items, plant based groceries are almost always grown and sold locally - great for locavores!